As every year the Grand Hotel Leveque welcome many visitors and tennis fans. Make party and stay in the 7th district: only one address to remember : 29 rue Cler. SPECIAL PAGE - Les Internationaux de France tennis, the second Grand Slam tournament of the year, after the Australian Open in January, are held every year in late spring in Paris. The dates for the 2016 edition are faithful to the tradition since the tournament will take place from 22 May to 5 June 2016, the Roland Garros stadium in western Paris. As usual, the program of matches is divided between twenty-four courts available: the Philippe Chatrier, Suzanne Lenglen, court No. 1, the most prestigious, but also the outside courts, numbered 3-24 . for fans, the first time after opening the ticket, will be the draw, just days before the tournament, which will reveal the precise program of games and opponents reserved for french players and players and the stars of the tournament in men and women tables. In recent years, the relevant date for the start of Roland Garros is often the third Sunday of May. This will again be the case this year with the first bullets exchanged Sunday, May 22 from 11am. The tournament will end two weeks later, Sunday, June 5, with the final table of men. During the first week, reserved for the first three rounds, the matches start in the late morning to allow many meetings end on time. From Tuesday, the second week, it's time for the knockout and the program becomes less loaded. So, the meetings usually start from 14h. sporting side, the program promises to be very attractive each year. Recall that during the 2015, it's Stanislas Wawrinka who created the surprise by beating Novak Djokovic in the final. Yet it seemed to have done the hard part by eliminating Rafael Nadal in the quarterfinals but had finally been the law of Switzerland, in grace, a few days later. The Serbian, world No. 1, but never imposed at Roland Garros, will thirst for revenge this year. French side, Jo-Wilfried Tsonga will satisfy probably repeat his performance of last year by reaching again the semifinals, but dream of course to win the tournament and offer (finally) to France a successor to Yannick Noah, who won in 1983. Among women, Serena Williams (winner in 2013 and 2015) and Maria Sharapova (winner in 2012 and 2014) will try once again to assert their supremacy over the same women's tennis is to be reckoned with Simona Halep, Garbine Muguruza or Lucie Safarova, a finalist in 2015. The opening of the ticket is a moment eagerly awaited by tennis fans across France and beyond our borders. The first places were available via premium offer, on sale from February 17, 2016. Open to everyone, this formula does not house a place "dry". She is accompanied by specific services (lounge, buffet, garden, scenes of the stage) and proposed tariffs located between 210 and 605 euros, depending on options. 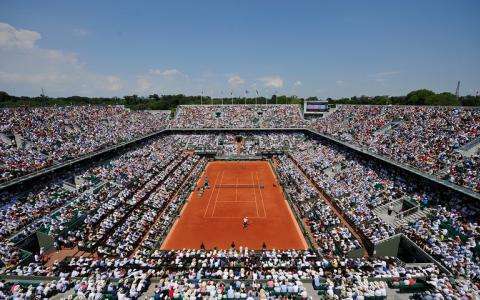 For single tickets, are the licensees of the French Tennis Federation (FFT) which have priority and which have their ticket 8 to 20 March 2016, with a first price set at 20 euros a day for main event and 10 euros for qualifying. For the general public, places to unity, the most popular, are on sale from Wednesday, March 23, 2016, the same rates as the FFT licensees. Also note that in addition to qualifying matches and meetings of the main event, other types of tickets are available for peripheral events: Day of Children, May 21 (from 20 euros), the Trophy legends from 31 May to 5 June (from 20 euros). It is also possible to get tickets coming in the late afternoon through the evening offers visitors (+ 12 euros a possible surcharge depending on the court). Finally, the organizers offer Weekend Pass (from 200 euros), the Semifinals Pass (from 225 euros) or Pass Finals (from 270 euros). The complete table of Roland Garros 2016 in men as in women, will be known after the draw traditionally held two days before the tournament starts. For this edition, it will therefore take place Friday, May 20, at 11:15, in the presence, probably one or two prestigious guests, take charge of the balls. What is the user manual of this ceremony? First, as with every Grand Slam tennis, each table (men and women) consists of 128 names (one hundred and four qualified through the ranking, six from the qualifying stage and eight beneficiaries of invitation) . Among all these players Thirty-two are designated seeds and can not meet them in the first round. Similarly, seeded 1-8, ie the best players in the world can not meet before the quarterfinals, seeded 1-4 not before the semifinals, seedings 1 and 2 steps before the final ... Hence the importance of a good ranking ATP at this time of the year. Rafael Nadal knows something, it happened in Paris last year, in seventh position worldwide and Novak Djokovic had inherited from the quarterfinals (lost in four sets). The winner of Roland Garros in 2015, Stanislas Wawrinka, will be present this year but will achieve a new feat to keep his title. The radius of the favorites, obviously include Novak Djokovic who dreams to win the Paris tournament, the only major event missing from his list, but Rafael Nadal. The Spaniard, winner of nine times pal Auteuil, returned to the ranks last year but, if this sharp physically and confident, it will of course be a serious candidate for the final victory. As for Federer, despite his undeniable talent, it seems harder to shine on clay. In French, the best chances will be called again Jo-Wilfried Tsonga and Gael Monfils, especially motivated every time he plays in Paris. The list of all participants. In Table Women, Serena Williams should again be the huge favorite of the tournament, even if she had to whip last year, winning several times in straight sets in the fourth round (opposite Stephens), half -final (facing Bacsinszky) and in the final which opposed the Czech Lucie Safarova. Maria Sharapova, eliminated in 8th finals in 2015, wish to redeem while the Spanish Garbine Murguruza, which continues to grow, could also have a say. The French, (Kristina Maldenovic, Caroline Garcia, Alize Cornet ...) seem, they still a little tender when applying for the final victory.